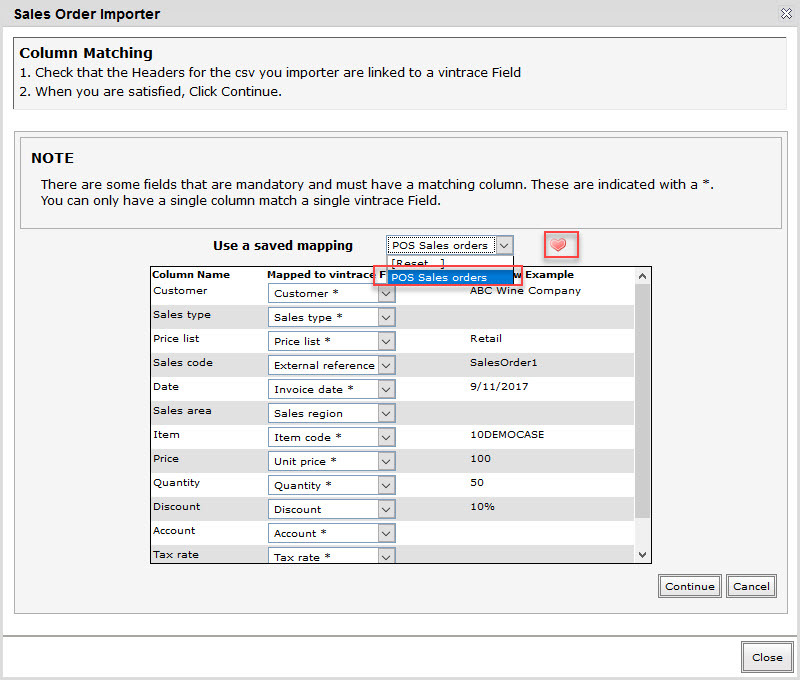 You can now save your file import settings so you don’t have to select the same mappings each time you upload a file into vintrace. Each importer type will have its own saved mappings. For example you want to upload sales orders generated from a POS/eCommerce system into vintrace but the generated file from that system has different column headers from the vintrace format. 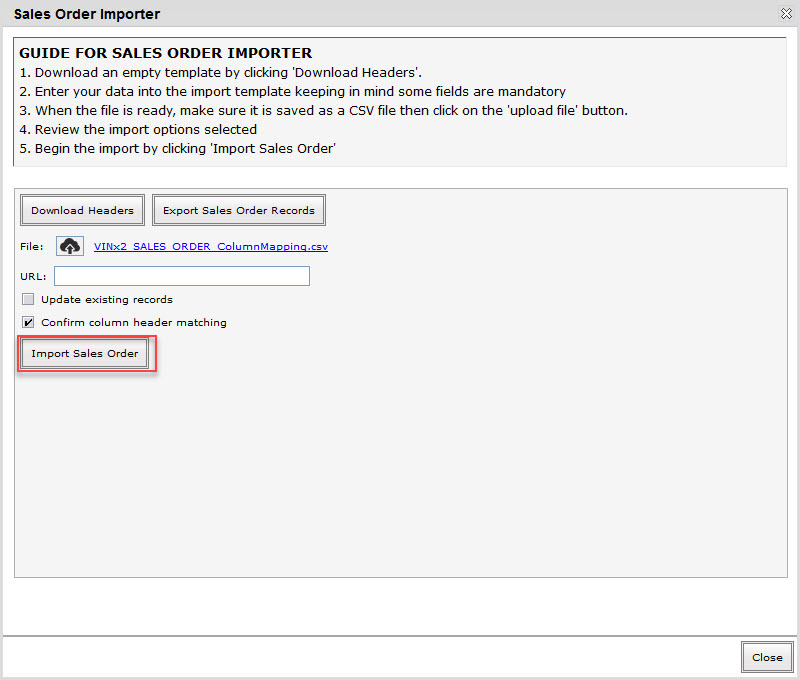 Upload the CSV file from your POS system into vintrace using the Sales order importer. In the Column Matching screen, the columns where the headers did not match with vintrace headers are blank under Mapped to vintrace Field. 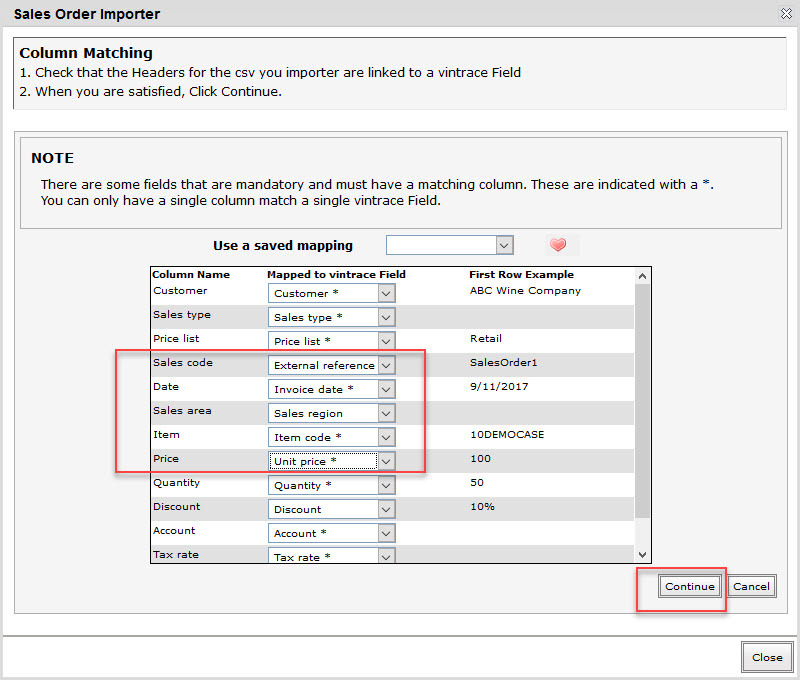 Select the matching vintrace fields for each of your custom fields and click Continue. 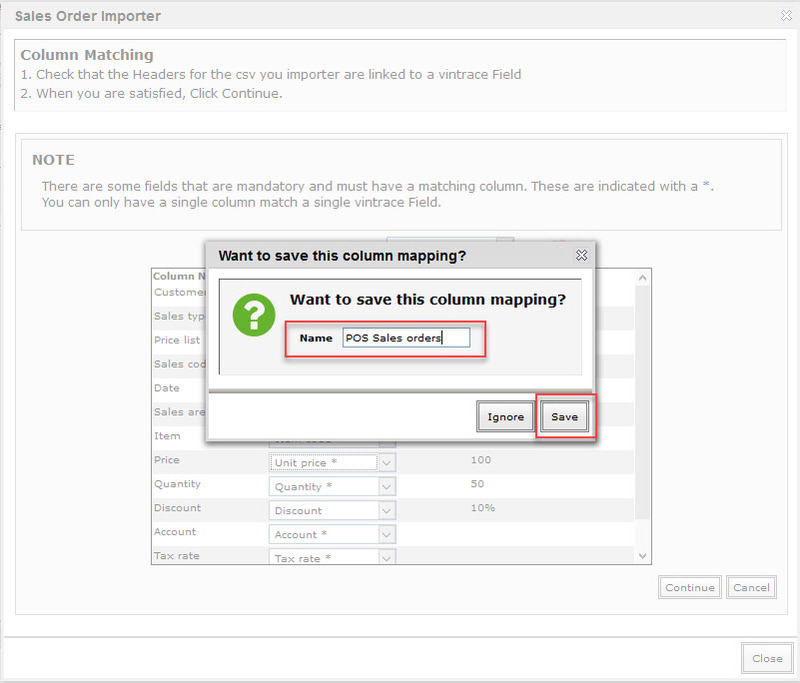 A prompt is displayed asking if you want to save the column mapping. Enter a name for your mapping, and then click Save. 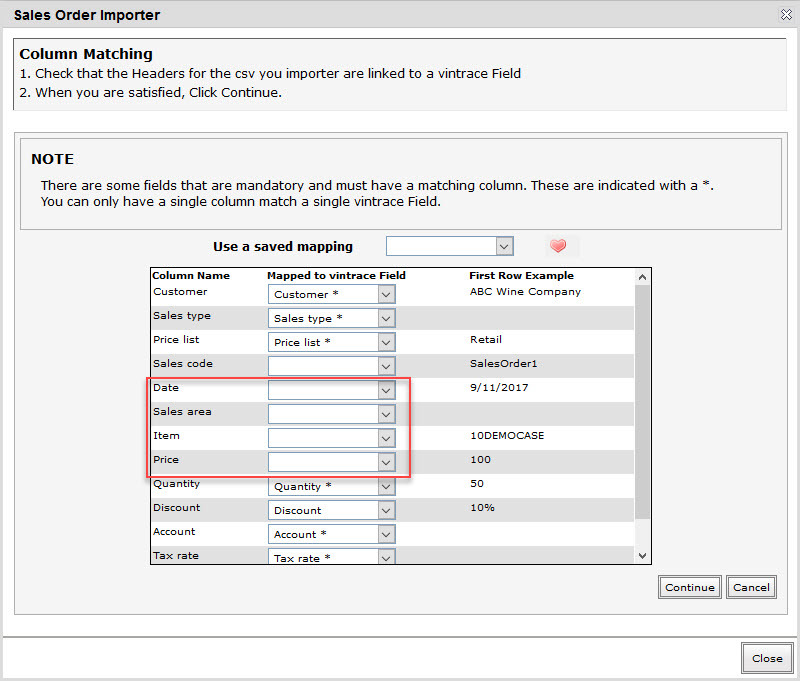 On your next upload, the saved column mappings are available for selection in the Use a saved mapping field and your columns are matched automatically. You can click the Heart icon to save the mapping as a favorite.